This is a truly gruesome crime that depicted domestic violence at its worst, a man brutally attacked, tortured and killed his gilfriend of one and half years. For a crime that shook the public for its sheer brutality, the man has been sentenced to life in prison. 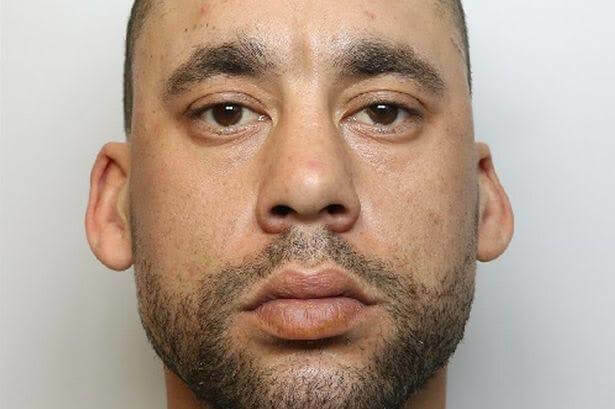 Killer Anthony Porter, 33, killed his girlfriend 38 year old Andraya Lyons whom he had dated for 18 months after a quarrel at her work Christmas party. Already in a vicious and dangerous mood, porter, sneakily followed her home When the party was over. He then proceeded to torture her and eventually burn her alive. She was warned about him that same night. Friends at her work Christmas party had warned Andraya not to go back home with Porter following the row because of how arrogant and selfish he had been to her all through their relationship. Matters got worse when she told him it was over between them. He became so aggressive that people at the party had to prevent him from harming her. Friends advised her not to stay at her home that night. She chose to go home—it was a mistake. Porter followed her home, but first—he texted his sister. "Some of us are angels, some of us are demons, and tonight the demons won," he wrote to his sister. Once at Andraya's home, a horrific attack unfolded. Porter forced his way in and hit her over the head with an iron, stamped on her face and poured thick paint down her throat. He then proceeded to place gas canisters between her thighs and doused her with white spirit before setting her on fire. All these were done while she was still alive. By the time Neighbours smelled smoke and called firefighters it was too late. Andraya's charred body was discovered on the living room floor at around 5:30 a.m. on last year. They also found blood on the iron, porch, kitchen walls, and in the living room, and Porter's footprint in the grey paint he had poured on his girlfriend. After desperate attempts to hide his crime, Porter left the house by 5am and confessed to his family. He also visited his mother's grave before he was arrested. Here is what Judge Peter Blair QC told Porter during sentencing. "She was entitled to feel safe and secure from you in her home but you broke in and you set about attacking her in a vicious way, using an iron and kicking and punching her. The assault started on the porch and went into the living room. It is clear this is a sustained assault. She was screaming for you to get out. It is clear you inflicted suffering on her, both mentally and physically. The forensic examiner reported that she suffered 45 different injuries during the attack.